Andy Robertson revealed what he and his Liverpool’s team-mates did to help console a devastated Loris Karius at full-time. Liverpool lost the Champions League final to Real Madrid 3-1 in Kiev, Ukraine, on Saturday night – and their shot-stopper was at fault for two goals. The 24-year-old’s first blunder came when he tried to distribute the ball quickly, but instead found the boot of Karim Benzema. Karius could only watch on in horror as the ball bobbled past him and across the line. His second mistake came from Gareth bale’s long range strike, letting the ball slip through his gloves. 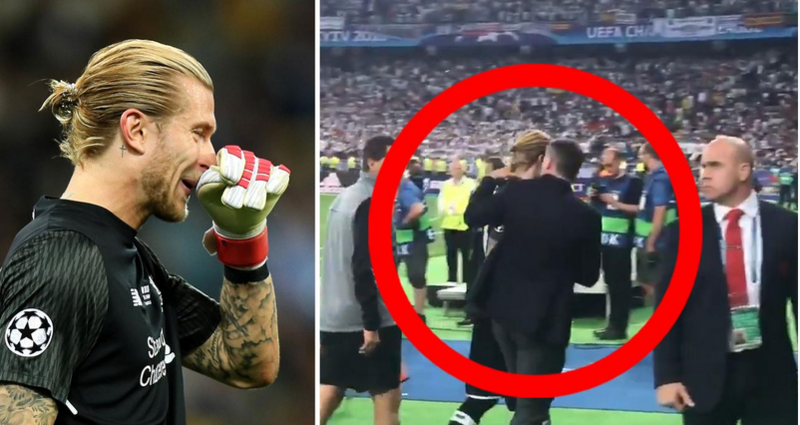 A heartbroken Karius was seen apologising to Liverpool’s travelling supporters at full-time and in floods of tears. “We win as a team, we lose as a team,” Robertson told the Liverpool Echo. “Of course he (Karius) made mistakes but we are not blaming him. “He will hold his hands up. He has been incredible since he go the No 1 jersey. He is young and he will learn from it. He will be a top, top keeper. “We have fallen short and there are no words that we can say to Loz that will make it better for him. 0 Response to "What Liverpool Players Did To Their Goalkeeper After Blunders At The Champions League Final"